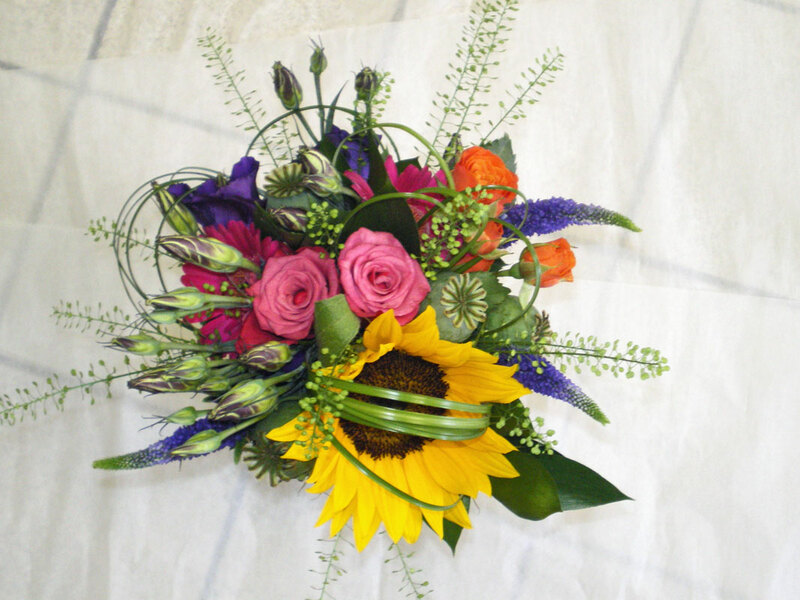 Selection of choice flowers in a Designer hand tied design individually created by one of our florists from seasonal flowers in your choice of colours. Available in a range of sizes - photo shows Standard size in vibrant colours. Actual flower varieties may vary with season.